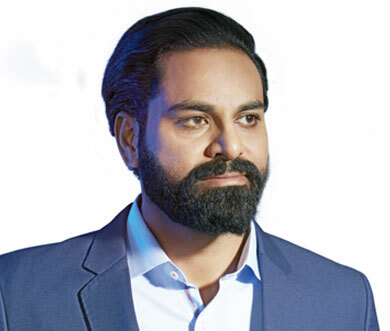 An entrepreneur with a commitment to building high value businesses, Suresh is responsible for promoting the success of the group and its worldwide functions and sustainability. With over a decade of online marketing and advertising experience, he has a strong understanding of building effective cross-country and cross-cultural business operations. 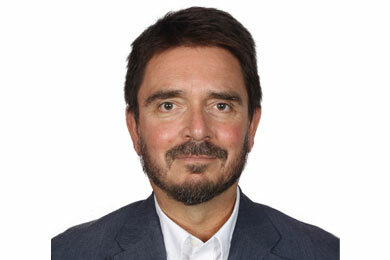 He directs and supervises the group's strategy and its implementation globally. CtrlS holds state-of-the-art facilities in Hyderabad, Chennai and Mumbai, while plans to launch in New Delhi 2015 and Bangalore 2016 are in full swing CtrlS operates state-of-the-art facilities in Hyderabad, chennai and Mumbai, while the plans to launch its New Delhi this year and Bangalore next year are underway. The Company has close to 1,000 employees and is headquartered in Hyderabad, India. CtrlS is a recipient of awards and recognition such as CIO Choice Award, Best Datacentre by SME Channels, Aegis Graham Bell Award Innovation in Cloud Service, CII National Award for the most Innovative and Energy Efficiency Unit. CEO of the year award by World Quality Congress – 2012. 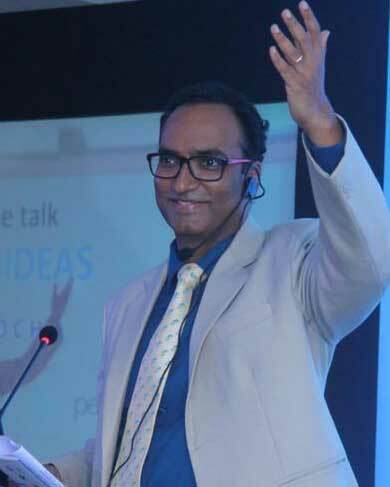 An entrepreneur, a startup leader, a strong strategist and a master at execution, Rajeev has successfully started, grown and scaled numerous companies, both within India and globally. 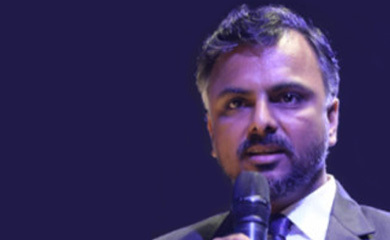 Rajeev has been a prolific business leader and an enabler of growth for companies including Ilantus Technologies, Computer Associates (NASDAQ:CA), Symantec (NASDAQ:SYMC) and IT&T Enterprises (now Igate Technologies), and Gartner Inc (NYSE:IT). Today Rajeev is considered a global expert for Start-Ups, leading tech startups - building growth strategies, raising capital, and thereafter ensuring flawless execution and a successful exit. 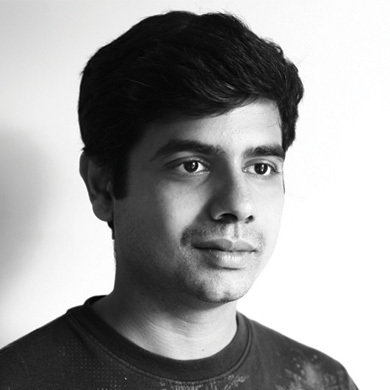 Rajeev received his Bachelors of Engineering – Computer Science Degree from University of Pune. He lives in Bangalore with his wife and two daughters. He is a passionate ultra runner, an avid reader, and yoga enthusiast. Originally from Calgary, Alberta, Eric Robinson was appointed Consul and Senior Trade Commissioner at the Consulate General of Canada, Bengaluru in August, 2017. He and his team, which includes Trade Offices in Chennai and Hyderabad, promote trade and investment relations between Canada and Southern India including the States of Andhra Pradesh, Karnataka, Kerala, Puducherry, Tamil Nadu and Telangana. With a Bachelor of Arts from the University of Calgary and a Master of Public Policy and Administration from Carleton University, Mr. Robinson joined the Canadian Federal Public Service in 1988, working at the Canadian Revenue Agency until 1995. Following two years with the Yukon Government in Whitehorse, he joined Global Affairs Canada in 1997. Mr. Robinson has held a number of positions within Global Affairs Canada, including trade policy assignments at headquarters and postings in Tehran, New Delhi, and Brussels. Immediately prior to his appointment, Mr. Robinson was the Alternate Permanent Representative of Canada to the United Nations Food Agencies in Rome. Mr. Robinson is married to Dr. Hilary Robinson, they have three children. 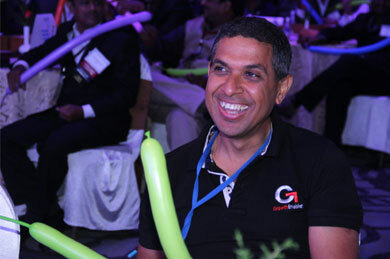 Krishna Lakamsani is a serial entrepreneur, angel investor and technology advisor. He founded his first business in telecom & e-commerce at the age of 23. At the age of 27 he founded Infovision, which was recognized as the 16th fastest growing company in IT Services category across USA. iPay is a retail aggregation company with the largest branded network of neighbourhood online shops with the brand name Dukanline. 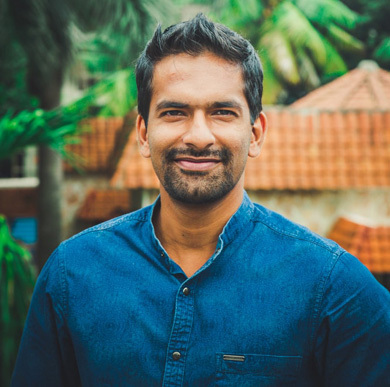 Mahesh is a Partner with Anthill Ventures where he works with startups and corporates to build and run innovation programs designed to help startups scale with speed. He is an active speaker and writer on leadership and innovation. With over 23 years in building global businesses, Mahesh uses his strong operations & business transformation background to define and execute business transformation and innovation strategies for businesses using change management, process transformation and design thinking. Mahesh is an ICF certified leadership coach. He works with corporate leaders, business owners and startup founders in defining goals and executing action plans to achieve those outcomes. Mahesh is a certified trainer in Lean Six Sigma, Change Management, Design Thinking, Reengineering. Mrs. Deepthi Reddy Madugula, Founder of Womenergy India. 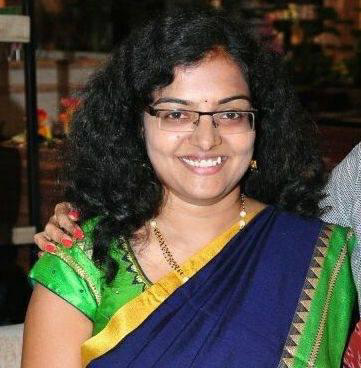 Deepthi Reddy Madugula is the founder of Womenergy India Organization started in 2016 , a unique women driven social enterprise with a vision to empower women, build eco entrepreneurship, intrapreneurship among homepreneurs,create green livelihoods,Facilitatiing networking , branding and bringing hundreds of women together on to one platform currently as both a startup and an evolving standup by itself. A young Development consultant , social entrepreneur, A serial ecopreneur who has incubated noted agribased startups like Organic Gampa, Farm Tour.She established her first company Idhya Eco living pvt ltd in 2012 through which she has consulted and incubated several green business models in the past 5 years. Graduate of horticulture, masters in public administration, Permaculturist and natural farming models campaigner ,Trainee under Agri-clinics & Agribusiness center (ACABC) scheme ,consulted e-Sagu as Agri advice expert and worked as Eco CSR consultant at IIT-H in the past,worked with several grassroot level societies like Aranya Agricultural Alternatives , has NGO’s experience since 15 yrs, has 7 yrs of experience in contributing to Eco social entrepreneurship and community models incubation Highly creative and intuitive individual passionate of natural way of living, has established foothold in the arena of green biz, green management, corporate environmental practices, Corporate Social Responsibility (CSR)-Environment, Sustainable green business and aspires to integrate conscious ecological activism with business. She is an exemplary combination of innovation and passion in the social projects she creates. Her mission is to nurture Eco conscious communities and establish Eco sustainable living .Her dream now is to create 1 lakh women entrepreneurs in green enterprising path . 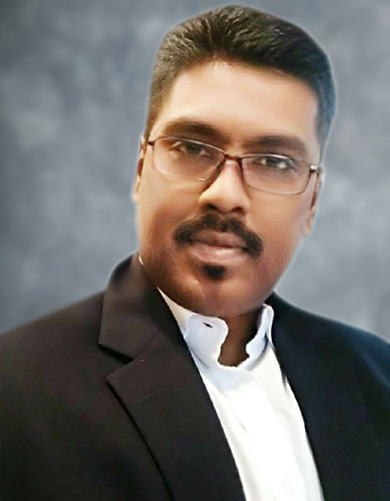 Shyam Sekar, a catalyst leader with over 22 years of experience is the Chief Mentor and Strategist at Startup Xperts, a business growth consulting firm aimed at supporting Startups and corporate, in India and abroad. Aim is to turn ideas and vision, into reality through smart execution, and build the entrepreneurial ecosystem. He accelerates the revenue growth of startups and other enterprises. Startup Xperts has been featured under the ‘Emerging Company of the Year’ category, in the Silicon India Entrepreneur Year Book 2014. 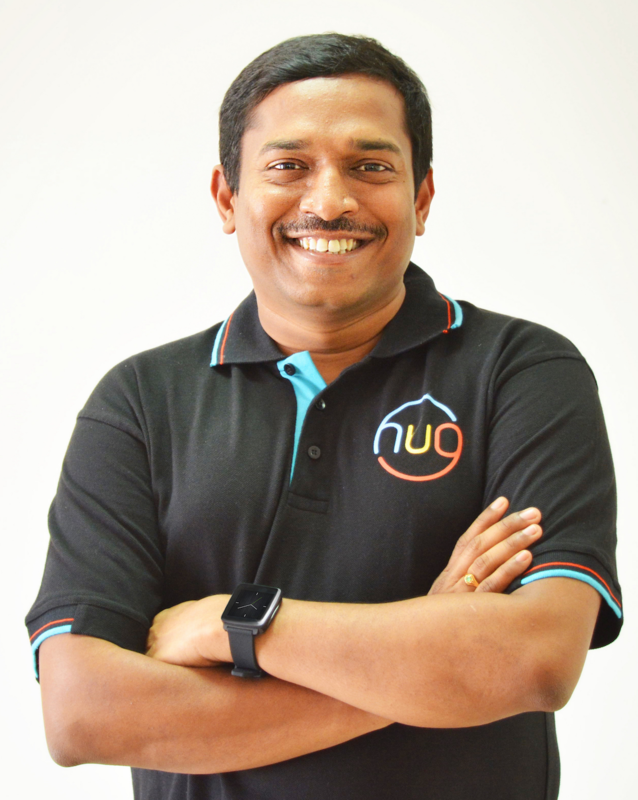 Shyam has been featured in many reputed magazines like The CEO Magazine, Startup 360, Silicon India, and also in newspapers/dailies including The Hindu, The New Indian Express, Deccan Chronicle and also was interviewed by Puthiya Thalaimurai too, during the recent budget features. Dinesh has around 20 years of progressive Technology & Consulting experience in Enterprise Applications, Analytics & Digital Technology platforms that encompass Cloud, AI & IoT. 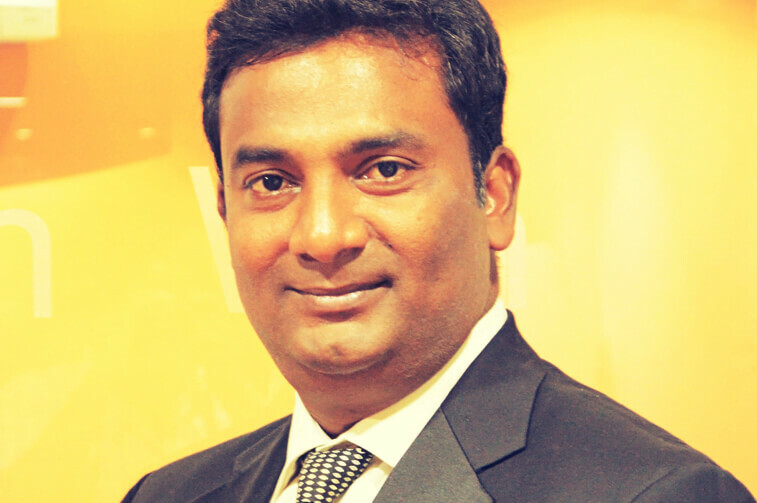 In his current role, Dinesh spearheads the Digital Innovation group (DIG)& Marketing office for Pactera EDGE (America, Europe & APAC). In his earlier stint with Hitachi consulting & GE, he was instrumental in building CRM, BI, MDM, Cloud & Innovation practice in those companies. Dinesh spearheaded the delivery of over 75+ medium to large scale projects & solutions implementations across the globe (APAC, China, EMEA & US). He also has the penchant for innovation and instrumental in building over 25+ innovative Enterprise Tools & Solution Accelerators. In short, Dinesh is a Proven, Entrepreneurial-minded solution leader who believes in creativity and Innovation. India's own home grown nextgen protocol for the next billion users. Blockchain Technology Evangelist /Advisor, Business & Technology Leader with 20 years of experience, which includes running Incubators, Creating Global & Strategic relationship, Advising Venture Funds, Startup's, Due-diligence, Setting up Engineering Teams, Product Management, GTM and devising Strategies. Adept in Delivery Management, Project Management, Business Development, System Engineering, System Design & Development. Worked with Telecom Giants like Nortel, Ericsson,Cisco & Polycom among others. Help global organization leverage APAC talent and marketplace for enhancing their presence and build a bigger market-place for their global products, solutions and services. Ronak is the co-founder of NowFloats, a start-up aimed at making the internet relevant for India’s millions of small and medium businesses. NowFloats helps businesses set up, manage and grow their digital presence entirely through a mobile or web app. He is also the founder of ‘kitsune’, the world’s first serverless framework which can be programmed in HTML to build dynamic serverless applications. Ronak is the co-inventor and chief advisor of Bolt, the world's first smartphone charger for motorbikes, and the co-designer of a ‘Speech Glove’ which recognises finger gestures and converts them to speech. Before taking the entrepreneurship route, he was a senior software engineer at Microsoft. 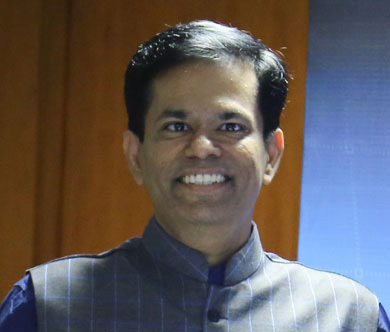 He graduated with a Bachelor of Technology degree in Computer Science from the College of Engineering and Technology, Bhubaneswar, India. Ronak is an INK Fellow, an AliBaba Fellow and was listed on the Forbes 30 under 30 for his contributions towards enterprise technology. Dr. Anu Gupta, a trained physician (MBBS MD Pathology) with an MBA from Indian School of Business (ISB), brings a unique outlook through her extensive experience in global pharmaceutical industry and Indian hospitals. Her journey as a physician was shaped by her experiences of working in remote areas of Central India as well as in leading hospitals of Delhi including Safdarjung Hospital and Apollo Hospital. Post ISB, Dr Anu joined the R&D division of Novartis, the Swiss pharmaceutical company, where she led global clinical trials for a leading neuroscience drug at the Company Headquarters in Switzerland. Dr Anu holds a portfolio of early stage tech startups. She is Venture Partner with ah! Ventures and has been an active investor member of other angel networks including Hyderabad Angels, and Rajasthan Angel Innovator Network (RAIN). As a Charter member of TIE Amravati and Amravati Angels, Dr Anu is committed to building Andhra Pradesh’s evolving startup ecosystem. As Charter Member of TIE Hyderabad, she contributed towards promoting women entrepreneurship in Telangana. Dr Anu is the CEO of Karmaya Ventures, a premier angel network, which she has co-founded with her husband Gagan Gupta, who is a leading angel investor. Dr Anu is on the Board of Mentors and Panel of Advisors of various incubators and accelerators including IIT Kanpur Social Incubator, AIC Banasthali, AIC Ashoka University AIMS Accelerator, Z Nation Lab and Spark 10. Dr Anu has been featured amongst “the Top 22 Inspiring Women Investors” by leading startup publication Inc42 in recognition of her contribution to the Indian startup ecosystem. 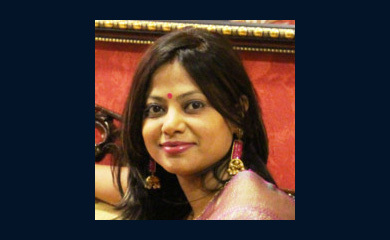 Nandita Sethi is the Founder & MD of The Entrepreneur Zone, (A Unit of Zen SkillProc Pvt Ltd) (www.tez.co.in) which is an Entrepreneurship Training Centre and a Startup Accelerator. She has a Masters in Economics and a doctorate in International Trade. She has trained several executives in top/mid-management levels on Global Markets, Business Environment, Corporate Reforms, Marketing Trends, Strategy & Leadership, Entrepreneurship & Intrapreneurship. She has authored the book “The Asia Pacific Region: Emerging Opportunities for India” and edited the books, “Global Meltdown: Regional Impacts” and 2 volumes of “Rethinking India’s Growth Strategy: Services vs Manufacturing, Vol I & II”. She was the editor of Journal of Internation Economics by IPE and is on several editorial boards. She is a mentor for TiE, GIT, ISB-TEP, CII-IWN, UoH, AIP-ICRISAT and has been awarded the TiE Best Mentor Award 2016-17 in the TiE-ISB Connect. She is at present leading the 7th Cohort of Startups in association with UoH . She is the the Vice-Chair of CII -Indian Women Network, Telangana, which helps professional women with knowledge-based programs and assists Govt in formulating policies related to working women. Her organisation TEZ has been adjudged as the top 10 Startup Consultant Organisation in India (Silicon India, Nov 2016-17). She is also on the jury of the MIT, Innovation Inclusion Challege (MIT-ICC 2018). Today her mission is to integrate entrepreneurship training deeply into the existing Educational system so that we see more startup activities on campuses and create a culture and thinking which is highly entrepreneurial. 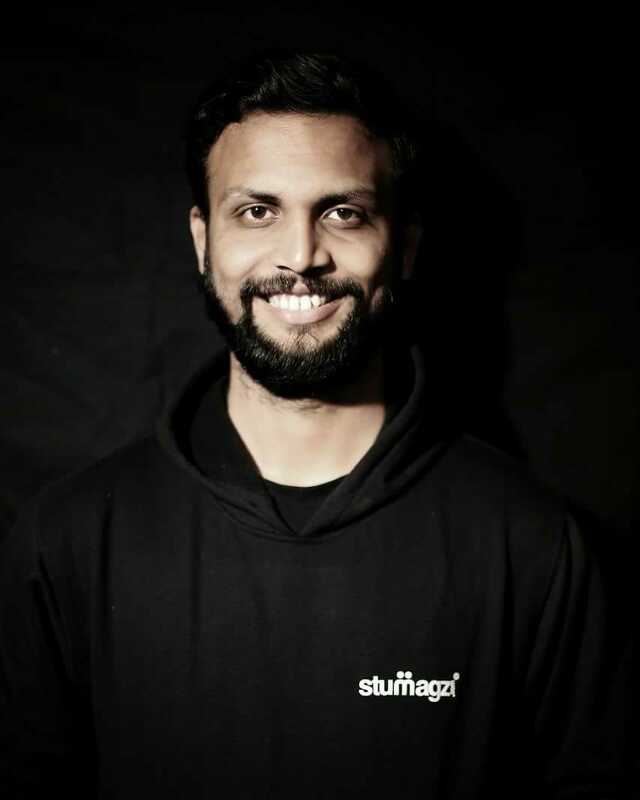 Mr. Charan Lakkaraju, CEO, stuMagz. CEO, stuMagz| Forbes 30 under 30 Asia| Mentor of change at Atal Innovation Mission| Orator| Business Strategist| Tedx Speaker |Influencer. An Electronic Engineer graduate from JNTUH, worked at Infosys, part of toastmasters Infosys, also an inspiration to many students today. His everlasting thirst for connecting students and helping them to excel, drove him to start stuMagz. 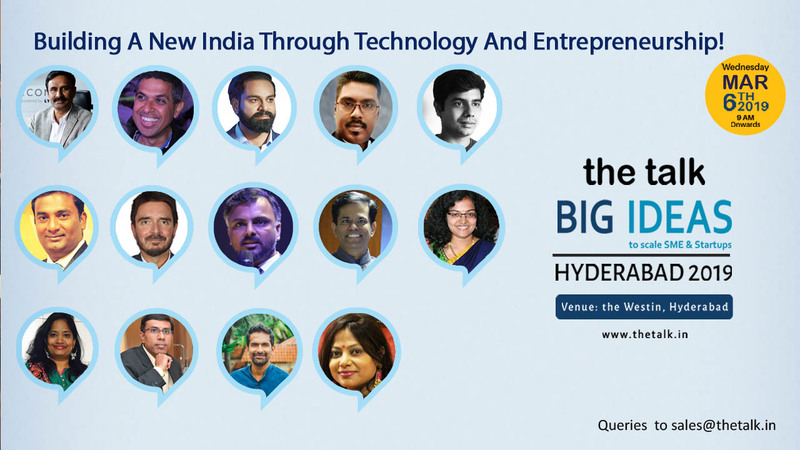 IIIT Hyderabad and many more..
Raj is a Technology Entrepreneur backed by 18 years of industry experience. Raj has started his career as a developer and grew in the corporate ladder playing several roles and his last was a Chief Operating Officer for a global IT Services company based out of Dallas. 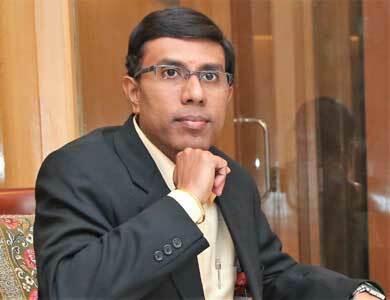 His domain experience spans across BFSI, Healthcare and Airline domains. An accomplished leader with a proven track record of building, managing and delivering profitable growth. Founded a wearable + IOT company with a vision of redefining Human Machine Interaction using Gestures. Anmol Garg is the founder of Sales5X, a sales training and consulting organization. His vision is to help SMEs grow into large corporations by helping them solve the 'sales problem'. He's currently consulting 4 companies on sales and has helped 1200+ sales professionals and entrepreneurs crack the sales game! He's a professional speaker having hosted 700+ corporate events. 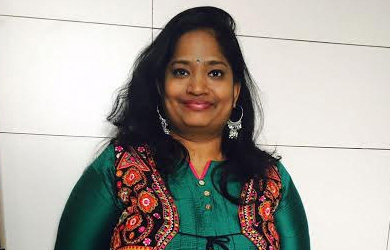 Manju Latha Kalanidhi, a senior journalist and currently Editor of City Express and Indulge, the Friday lifestyle magazine of The New Indian Express, Hyderabad, is also famous for conceptualizing #RiceBucketChallenge, a social initiative that has garnered over 1.9 lakh kgs of rice across the globe. A public speaker and a regular at round table discussions, she was also featured in the #DarkIsBeautiful photo exhibition in Hyderabad and believes in using both media an social media for the larger good. 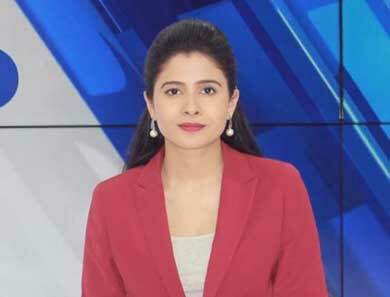 Passionate about political news reporting, Shruti Mathur works with India Ahead News as a news anchor and correspondent. Currently, she is handling the morning bulletins. Before joining India Ahead she was working as RJ for an FM radio station. She started her career in 2013 with a local news channel as a news anchor. In a span of 6 years, she has worked across several mediums: TV, Radio and New Media.